The wood shop is your all-things-wooden project headquarters. Want to make a new book shelf for your dorm room? Build a spice rack for your parents? All you have to do is sign up for a one-week, month, semester, or year-long pass to the wood shop, take a small proficiency test, sign the waiver, and start creating! Our staff can help you with your project as you go or you can browse through our huge selection of project magazines. We carry on-hand a huge selection of medium and hard woods and even some exotic woods. 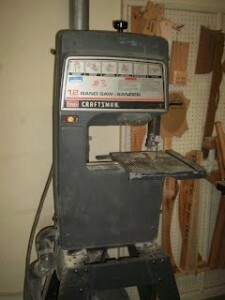 The radial arm saw is best at cross cutting wood. When cutting on the radial arm saw always push and hold your wood flat against the fence while cutting. The saw blade is pulled with a stiff arm slowly across the wood then returned to the back of the saw after the cut. Do not reach across the line of cut while the blade is spinning to pick up your wood. 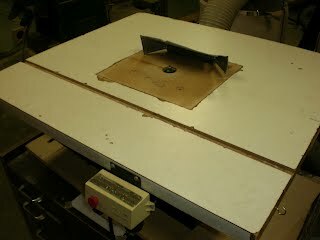 We do not use the radial arm saw to rip board in the Student Center. 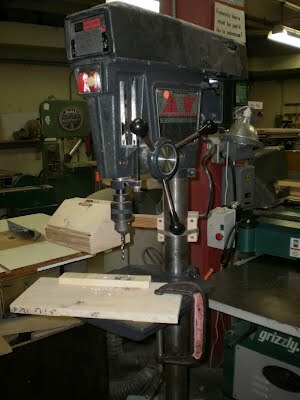 The drill press is used to drill holes in a variety of sizes and materials from wood, plastic and all sorts of metals. There is a speed chart on the side of the drill which explains the best speed for the size of hole and the material to be drilled. 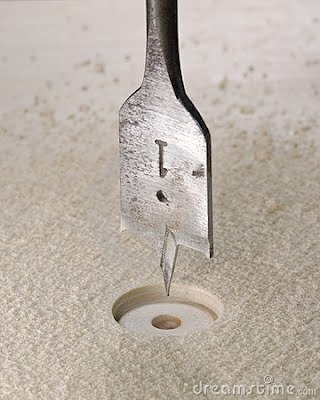 Spade bits and Forstern type bits should always be used at the lowest speeds.The Chuck key is used to change drill bits. 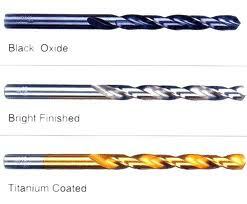 Forstner Bit & spade bits for larger holes should always be run at lower speeds. 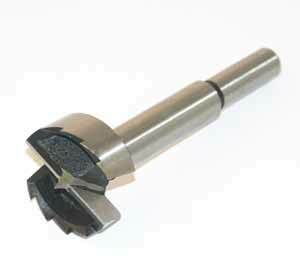 Twist bits work at a variety of speeds. 3. When joining boards taller than the fence lock your fingers over the top edge. 4. When joining wood that is shorter than the fence use push blocks. Please note that the fingers are overlapping the top of the board on wood that is taller than the fence. Wood that is shorter than the fence should be pushed through with a push block and a push stick. 3. Always plane the wood with the grain. No end grain. 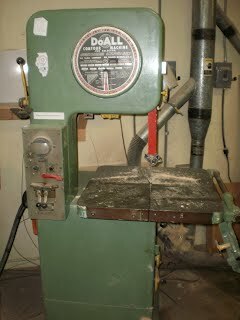 This is a 12″ Sears Wood Lathe (6″ swing). It is great for the beginner. Its lack of strength means less accidents. 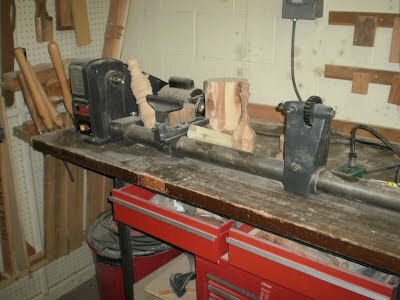 The lathe can turn both bowls and spindles (base ball bats). 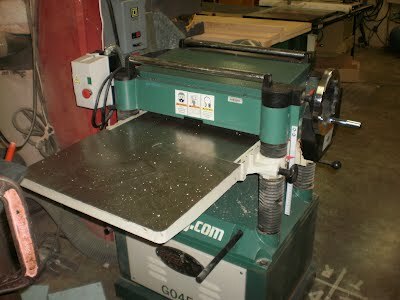 There are a variety of tool rests and tools that go with this machine. The router puts decorative edges on wood. The most common edge is just rounded. 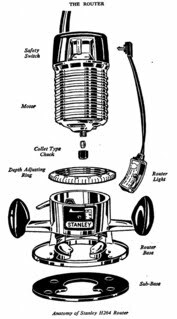 The router is usually attached to the router table when working on small objects like paddles, frame molding, plaques, and cutting boards. This tool operates at high speed, so care must be taken for safety. To change a router bit, unplug the router, loosen the motor housing and pull it out. 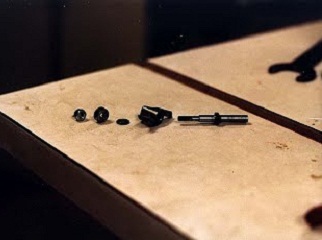 Then use two wrenches to loosen the collet. Slide the bit out and replace it with a new one. Do not push the router bit to the bottom of the collet. Working with a band saw is a lot like sewing. The operator follows a line drawn on the wood by simply turning the wood as it is cut. 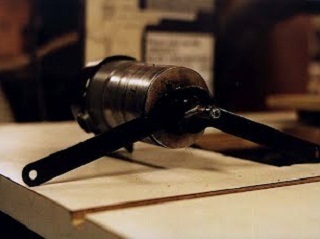 However, the sharpness of the curve depends on the size of blade installed on the band saw. 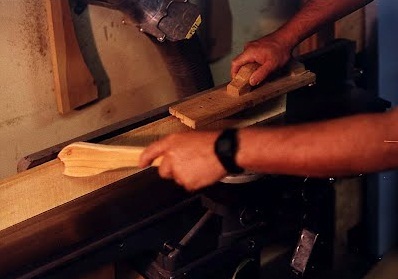 The upper guard should be adjusted as close as possible to the wood you are cutting with out touching it. This helps protects your hands from touching the blade. Relief cut should be made in wood when the curve to be cut is too sharp for the blade or when the blade binds up and slows down. The wood should be feed into the blade at a rate that does not slow the saw down. 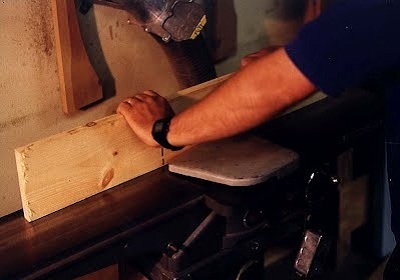 Round or irregular shaped objects should be clamped to a miter gauge, a V – block or other stabilizing device to prevent them from rolling or wobbling while being cut. 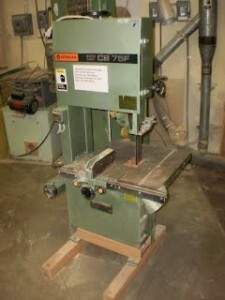 Because band saw blades are flexible they eventually break. If a blade breaks, turn off the machine and and ask for assistance. 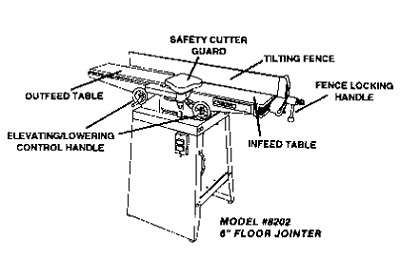 The straight fences like on a table saw will not work; the blade is flexible and the operator must turn the wood in order to follow a straight line marked on the wood. DoAll with a 3/4″ blade for large graceful curve. This saw has a blade welder for fixing blades. 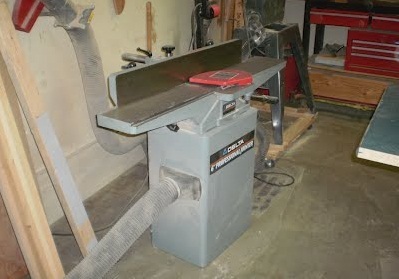 We have three 12″ Sears band saws.With the 1/4″ blade they are great for making tight curves.